Sometimes, we all want a little this and a little that when it comes to our interior designing aspirations. Believe us, we don't blame you for being indecisive with your style genre! Truly, with all the amazing styles we have in the 21st century, it's certainly hard to choose the right one for your home. Finding the right style doesn't have to be that challenging though. 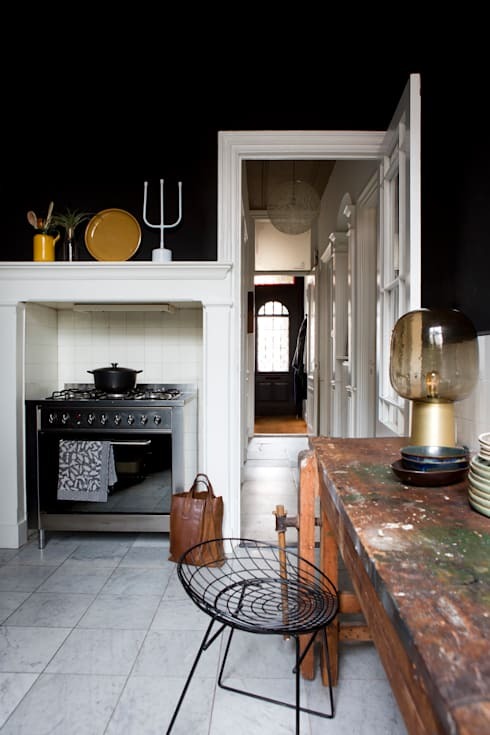 Get a little more creative and create a fusion of styles for your home! 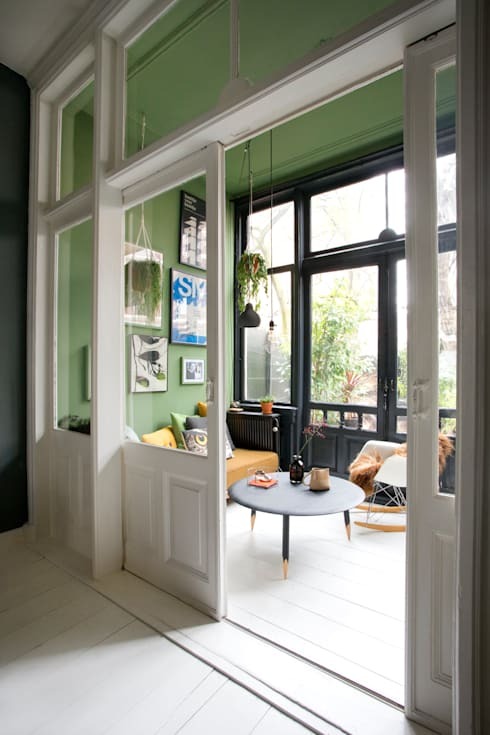 If you're the eclectic type of homeowner, then you definitely have to check out this ideabook that we have in store for you. It has the perfect blend of contemporary, industrial, classic, and even rustic style! First on the list of styles this dynamic home has is the contemporary style. 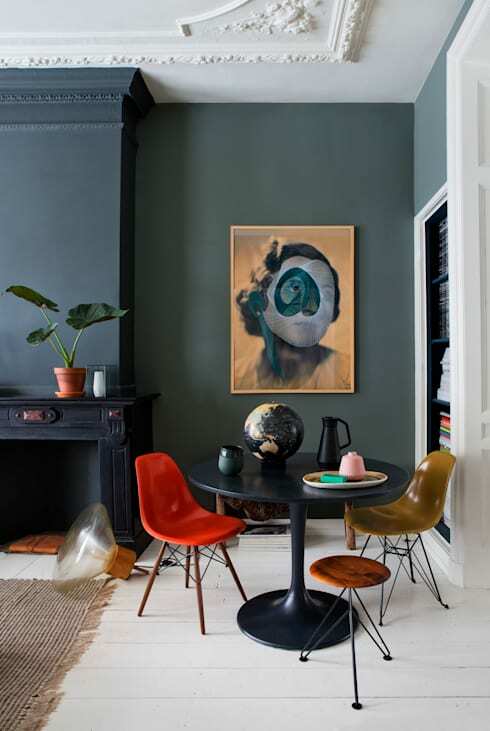 In this little dining area, the room features a matte dark grey backdrop that highlights all the warm and bright colors of the room. The chairs and wall painting own the spotlight here. Contemporary style is all about featuring softened and rounded lines in interiors designing, It's also about featuring bold yet subtle hues and tones that keep the grounded warmth of the house. Pictured above, the chair in mustard yellow offers us a welcoming and comfortable vibe that speaks modern and contemporary style. If you're liking this kind of style, you'll surely fall in love with this contemporary apartment. Check it out! 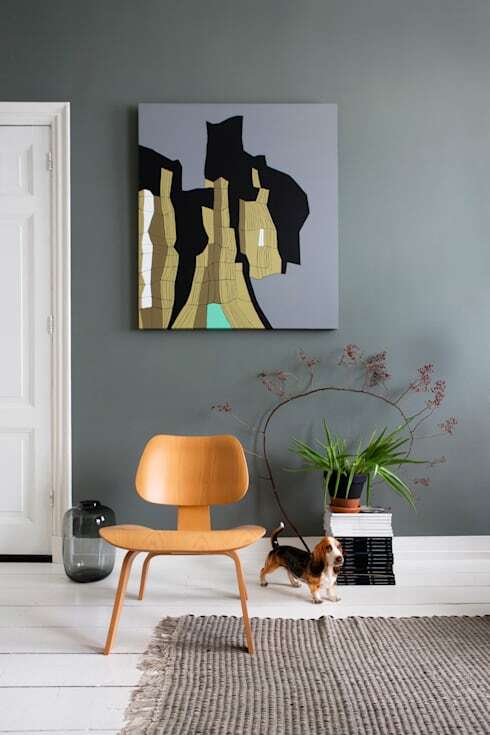 Another area of the house where the contemporary style is showcased, this room features a pale orange accent chair and an abstract painting in a combination of mild and bold colors. 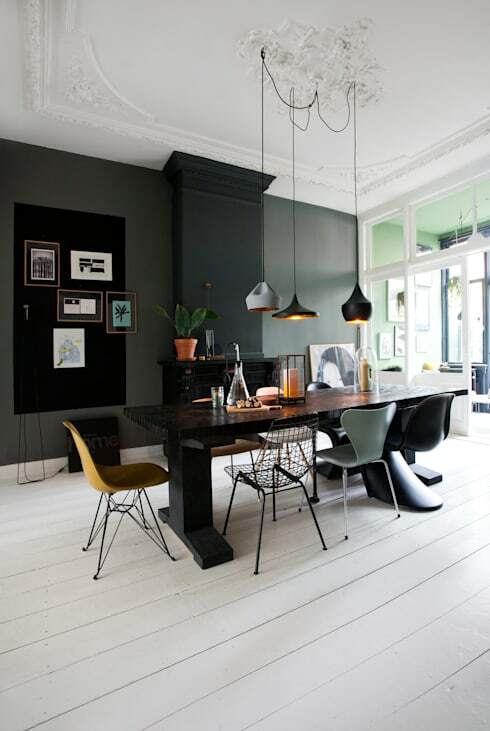 The walls are also painted in a subtle tone of grey to tie up the overall subdued vibe of the room. A little more adventurous than the other contemporary-styled rooms, this lounging spot offers a vibrant array of artwork and statement pieces. 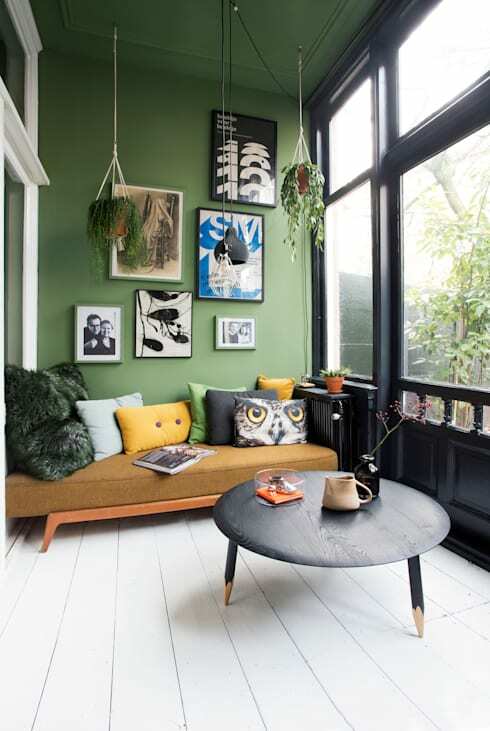 From the striking wall decor and hanging plants to the colorful cushions and dynamic textures, this room is screaming ultimate eclectic style! Notice how the wall decor are made of a playful blend of personalized and modern photographs and the pillows are styled in different textures and materials. Stunning indeed! Second on the list the industrial style. Industrial style is one of trendiest styles in the market now that optimizes function, value and appearance of your home interior design. Pictured above, the living room boasts its industrial pieces through the sleek, black-coated steel materials found in the chairs, tables, and lamp stands. Moving on the dining room, industrial style is still highly focused. The room showcases a pure industrial approach through the dining chairs and pendant lighting fixtures. 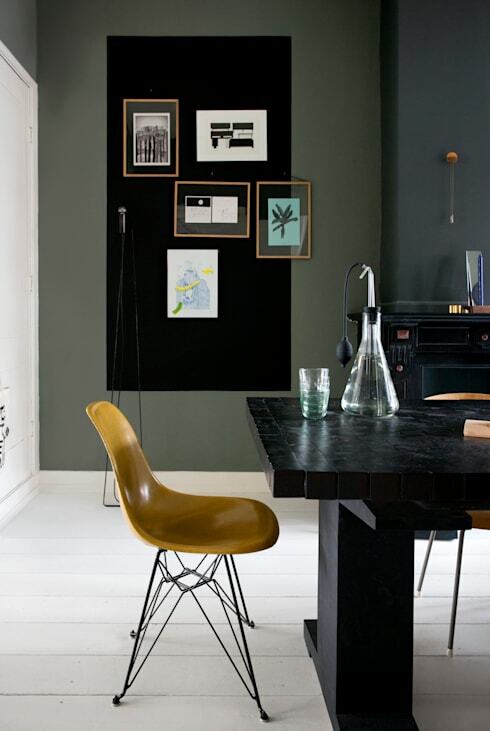 Moreover, walls are painted in matte black for the stunning bold and modern finish. The house's interiors also feature some classic and traditional touches. The house widely uses white as a base color which oozes in purity and simplicity. The interior doors and dividers are also styled in an understated yet elegant way of designing. 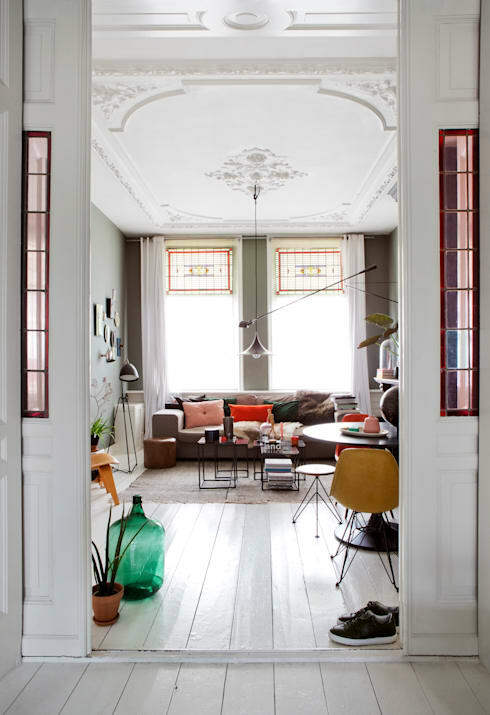 Lastly, this dynamic and eclectic home also features some rustic touches. Pictured above, the kitchen area provides a very unfinished style though some of its components like this wooden sideboard. While the kitchen is overwhelmed more with the contemporary and classic style through its matte black walls and sophisticated white sidings, the rustic sideboard also catches our attention with its bold details.